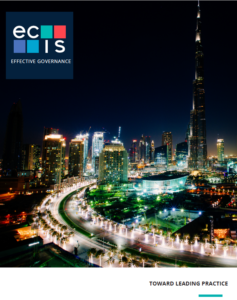 ECIS offers quality assurance programmes of two kinds: Governance, and Facilities, Health, and Safety. Please use the button to the right, if you’d like to contact us about pursuing one of these two quality assurance protocols. If you seek international and public recognition related to the quality of your governance practices, we will work with you on a governance review according to our ECIS Effective Governance quality standards, which, in addition to spelling out leading practice for schools with share capital, take into account enhanced areas of practice around child protection as well as ensuring the integrity of ownership and board membership relative to OFAC sanctioned individuals. Our quality governance protocol will lead you to examine yourselves carefully and professionally, to a high international standard. 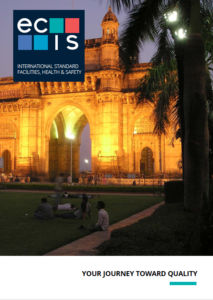 Working with our international advisory services, successful completion of this review results in the award of the ECIS Quality Governance kite mark, which you are welcome to display to your community in ways that are appropriate to your context. Pursuing this quality assurance protocol would also be appropriate for schools looking to realign governance practices after a tender period of renewal, or for schools that are preparing for accreditation or inspection. Through a partnership with Momentum India, schools can attain the ECIS quality kite mark in the area of facilities, health, and safety, with a special focus on child protection. The quality assurance protocol is intended to assist the school in the review of its facilities and those guidelines, procedures, and practices related to health and safety. The protocol also deals with an important priority for schools: risk management. Risk management is the ongoing process of planning, organising, leading, controlling, and monitoring activities that include the possibility of risk or injury to people and facilities associated with the school. Schools should adopt an ongoing process for identifying, assessing, and managing risks.